The Concordia Stingers have announced their first recruit for the upcoming season. 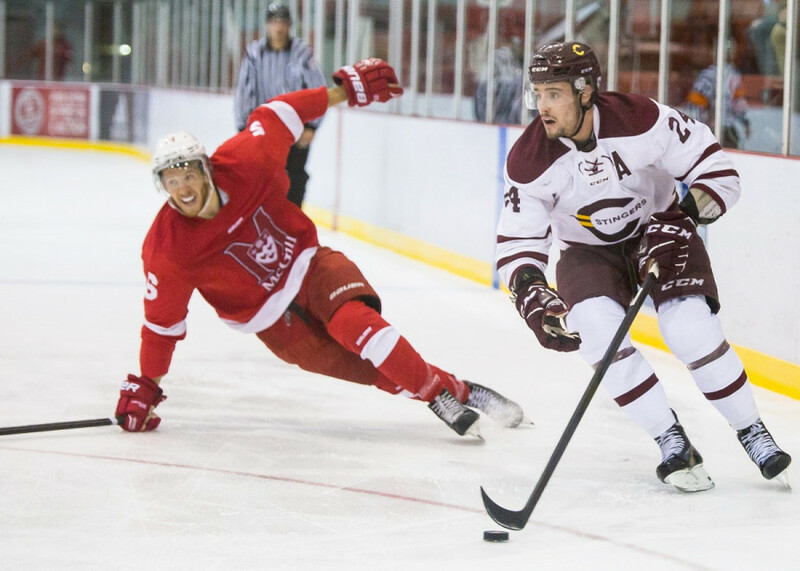 Centre Hugo Roy is the team’s latest addition from the Quebec Major Junior Hockey League. Roy served as the captain of the Sherbrooke Phoenix for the last two seasons, a position inherited from Concordia’s Carl Neill when the two were teammates. The Stingers’ new centre is a strong two way force with excellent speed and a penchant for faceoff wins. Over the last two seasons, Roy scored 55 goals and 107 points in 132 games in the QMJHL. With only 24 penalty minutes over his three full seasons playing for Phoenix, Roy was rewarded for his clean hard nosed approach to the game, winning the Frank J. Selke trophy as the QMJHL’s most sportsmanlike player in 2017. Roy’s abilities earned him a spot at an NHL camp as recently as last summer. The Colorado Avalanche saw enough talent to invite the six foot one centre to their training camp for a brief stint, cutting him just ahead of their first preseason game this past season. The Stingers have been relatively quiet on the recruitment front so far. After back to back rookie classes with names like Anthony Beauregard, Philippe Sanche, Carl Neill and Massimo Carozza, expect another strong crop of recruits to be announced soon.